If you’re thinking about trying these dangerous wings, you were warned! Did you know that half the calories in chicken wings are in the skin? In Indian cooking, chicken skin is usually removed. 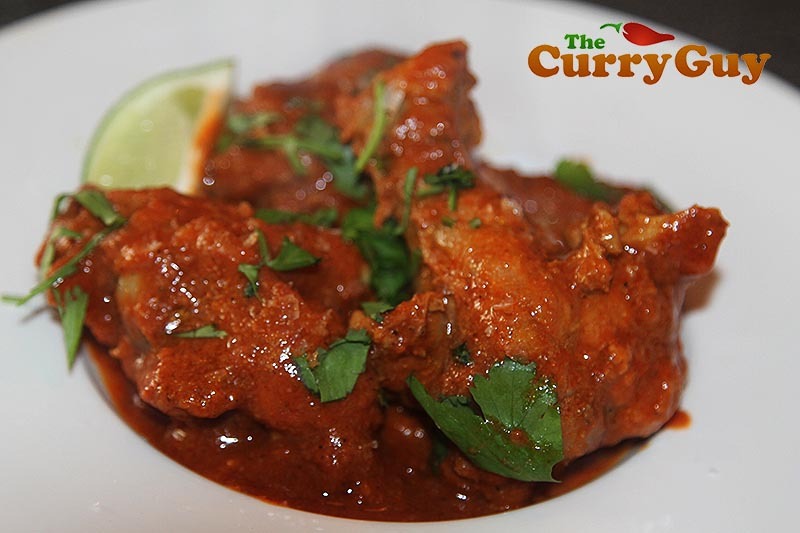 It just isn’t needed for flavour when you’re serving the chicken with a delicious and spicy sauce. You could either skin the wings yourself or visit your local Asian shop where the butchers do it for you. That’s what I do. This recipe was given to me by my friend and chef Moh Hoque which he developed for a spicy food eating contest. Made his way, it is seriously difficult to eat as the sauce is so spicy hot. I decided to give his recipe a try using, as he suggested, Carolina reaper chilli powder but I made the mildest version. The Carolina reaper is the spiciest chilli on the planet. If you can take this heat, this is a fun one to serve. 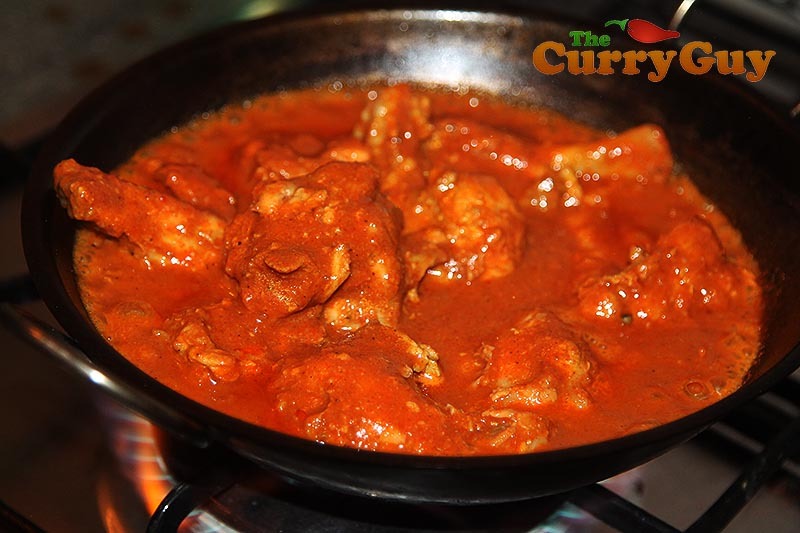 If not, try using a milder chilli powder like Kashmiri chilli powder or even paprika. I normally BBQ my chicken wings but as these were being served in such a spicy sauce and it was freezing outside, I just added the chicken wings raw and let them cook in the sauce. They were so good but next time, I’ll be grilling them over the hot coals! Saute the garlic and ginger paste in the oil for about 20 seconds. Add the ground spices and tomato puree. Simmer the chicken wings in the sauce until cooked through. Add the honey/sugar and the lime juice. Check for seasoning, adding salt to taste. Sprinkle with the dried methi and garnish with chopped coriander to serve. Heat the oil over medium high heat until really hot. 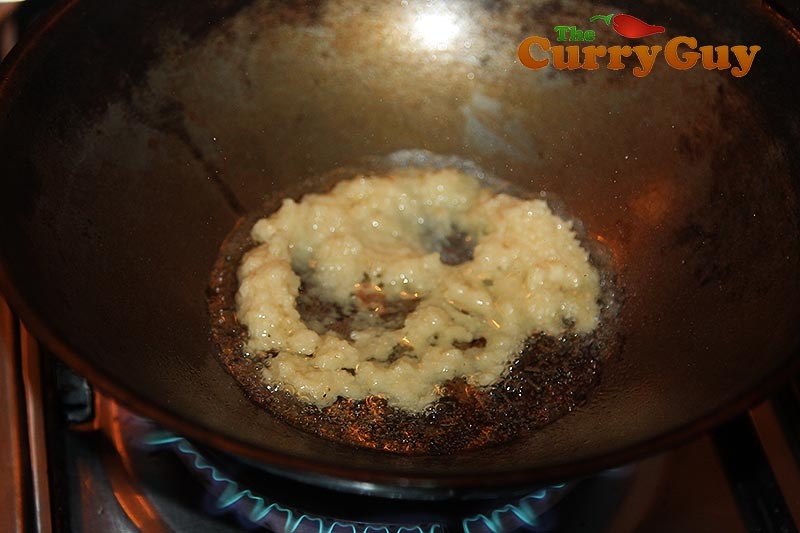 Add the garlic and ginger paste and fry for 30 seconds. 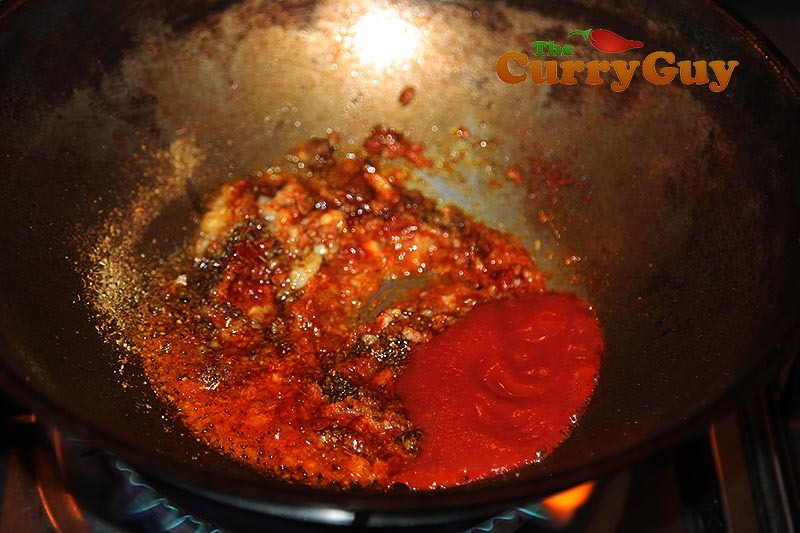 Stir in the mixed powder/curry powder, garam masala, chilli powder, tomato puree and honey/sugar. Give it all a good stir and the stir in the base sauce. This will come to a boil. Add the chicken wings and allow them to cook in the simmering sauce. If you need to add a little more base sauce or water to cook the chicken through, do it. To finish, squeeze the lime juice over the top and sprinke with the dried methi leaves. Check for seasoning and add salt to taste. Garnish with the coriander to serve. I did these tonight, with a few differences, and they were fab. We used skinned chicken legs split with the thigh cut in two. We’re not into too much heat so kept it at a rounded 1/2 tsp of cayenne. 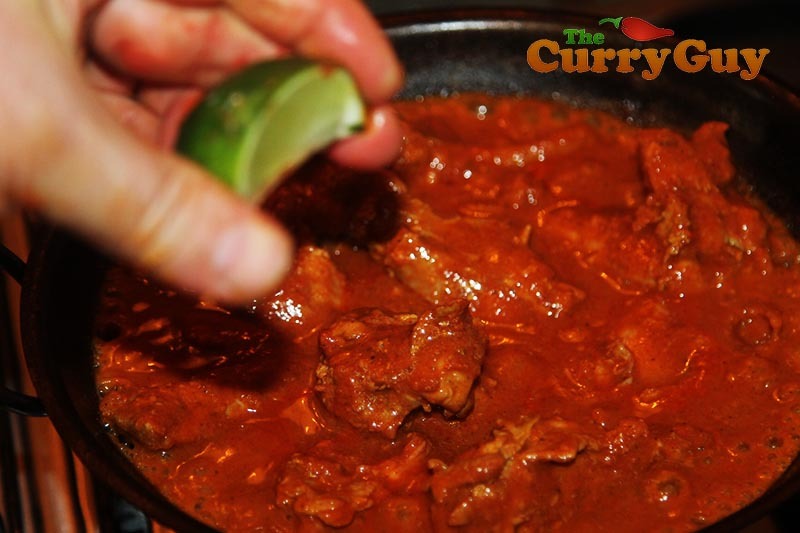 Next time I would use 2 juiced limes and a 1/2 tsp of fenugreek in the sauce at the end. We cooked it in the pan, took out the chicken when cooked and reduced the sauce down even further to pour over the top. On a BBQ I would cook in the pan until just about done, brown on the BBQ and then pour over the reduced sauce. As I look at the pictures of the prepared dish and the recipe, I can tell it looks delicious! Chicken wings are one of my favourite dishes, although I don’t eat it a lot. Also, I don’t like food that tastes bland, so I like spicy food, nothing is too hot for me. So I love the combination of spice and chicken wings. What side dishes can you make with these chicken wings? Or can you use it as a main course? I would really like to try to make this dish! And I’m definitely going to try it. Thank you. I usually just serve this as a starter course as it is quite spicy. That said, you could serve it as a main. 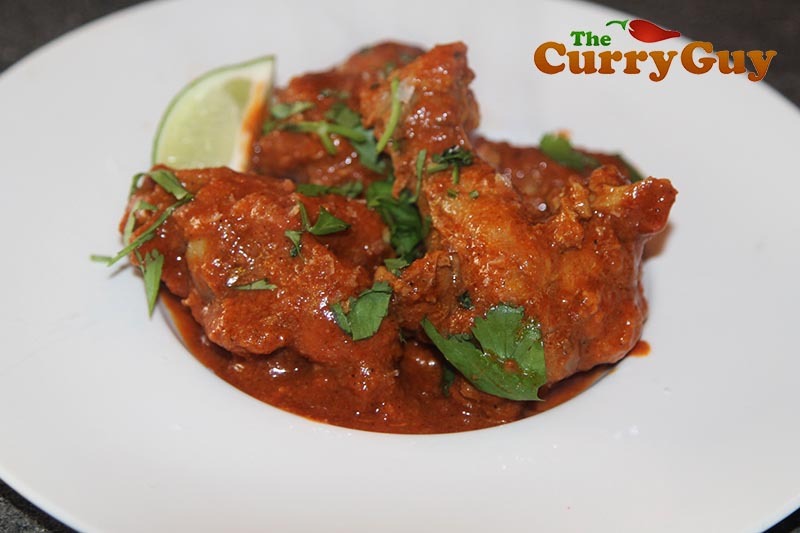 As there is so much flavour in this one, something quite bland as a side is all you need. Perhaps a little white rice to cool it down or a simple green salad.